Basins are regions of enclosed water semi-isolated from the open oceans. Estuarine basins: where riverine input flows out to fill an estuaries before connecting with the sea. Characterized by a gain in freshwater (buoyancy) where fresh water flows out at the surface and saltier water flows in at depth. 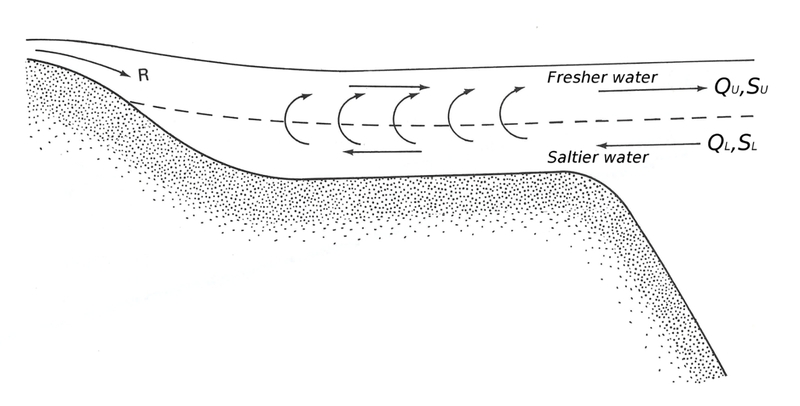 Evaporative basins: where the basin separated from the ocean by a sill/strait. Characterized by a loss of freshwater, or buoyancy, where freshwater flows in at the surface, and saltier water flows out at depth. By considering the mass & salt budgets over the basin, we can predict the size of exchange flow at the sill/strait or mouth. SU and SL are the salinity of the upper and lower layers. The along-estuary difference in the inflowing water, QL, must equal the amount of water mixed vertically into the upper layer. Lower layer salinity (SL) = 37.90. 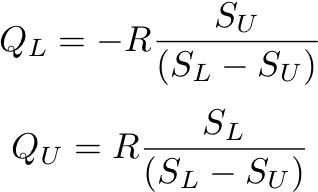 Note that, because (SL - SU) is small, the inflow/outflow transports are 20 times larger than the net loss of mass due to evaporation on the Mediterranean basin. 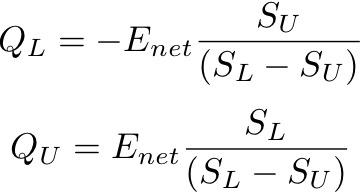 Sensitivity of fluxes to the accuracy of Enet , SU + SL. 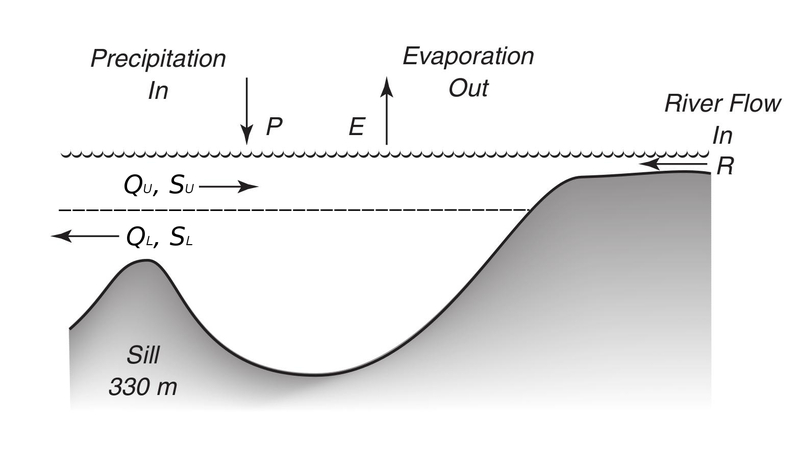 evaporation at the surface. Waters sink or connect to form deep water.